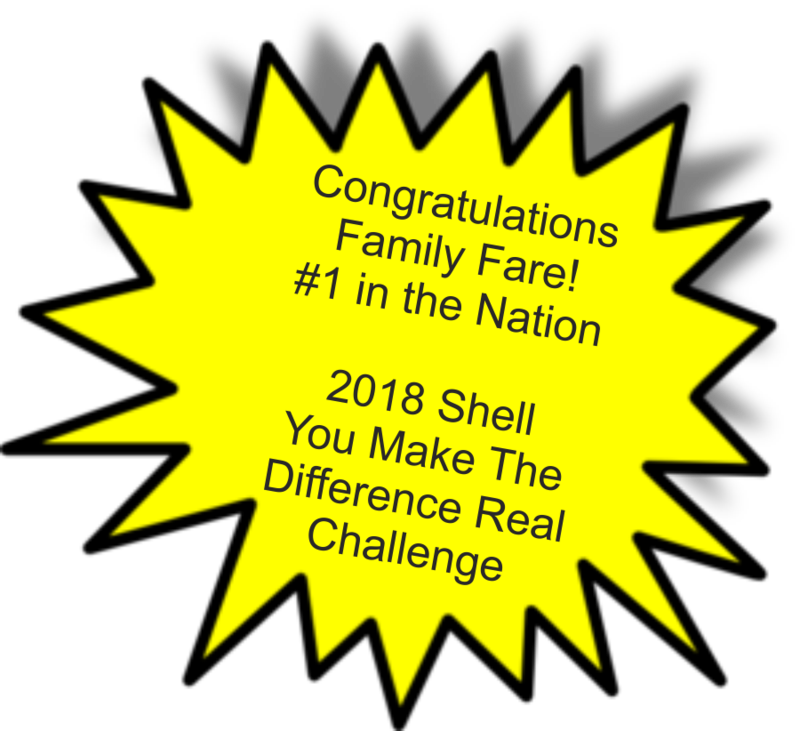 Each year Family Fare commits approximately $50,000 to local nonprofits throughout the geography where Family Fare operates. The selection of 501-C 3 Organizations for Family Fare’s Shared Purpose Funding is a grass roots effort derived from our Service Collaboration and Support Center Administrative Representatives and our Independent-Entrepreneur Franchisees. Each established Store Region and the Service Collaboration and Support Center may nominate a qualifying organization once per year. If you or your nonprofit 501-C 3 Organization would like to be considered for Family Fare’s Shared Purpose Initiative, you may direct inquiries at individual Family Fare Stores to the Franchisee at the store or contact a member of the Service, Collaboration and Support Center Administrative Team. The region representatives, whether Service, Collaboration and Support Center Administrative Team Members or Franchisees, in collaboration with one another select recipients each year for Family Fare’s Shared Purpose Initiative. All members of the Family Fare Service Collaboration and Support Center Administrative Team and Family Fare Business Consultants are offered the opportunity to provide any 501-C 3 Organization where they personally volunteer up to ten times their individual donation to the organization up to a total contribution from Family Fare of $1,000. Any Family Fare volunteer as outlined above that volunteers at an approved nonprofit organization can receive a check for $100 from Family Fare. Any Family Fare volunteer as outlined above that volunteers at an approved nonprofit organization and individually donates $25 to the approved organization will be matched by Family Fare for $250. Any Family Fare volunteer as outlined above that volunteers at an approved nonprofit organization and individually donates $50 to the approved organization will be matched by Family Fare for $500. Any Family Fare volunteer as outlined above that volunteers at an approved nonprofit organization and individually donates $100 to the approved organization will be matched by Family Fare for $1,000.